Take a look at this graphic from JESS3. 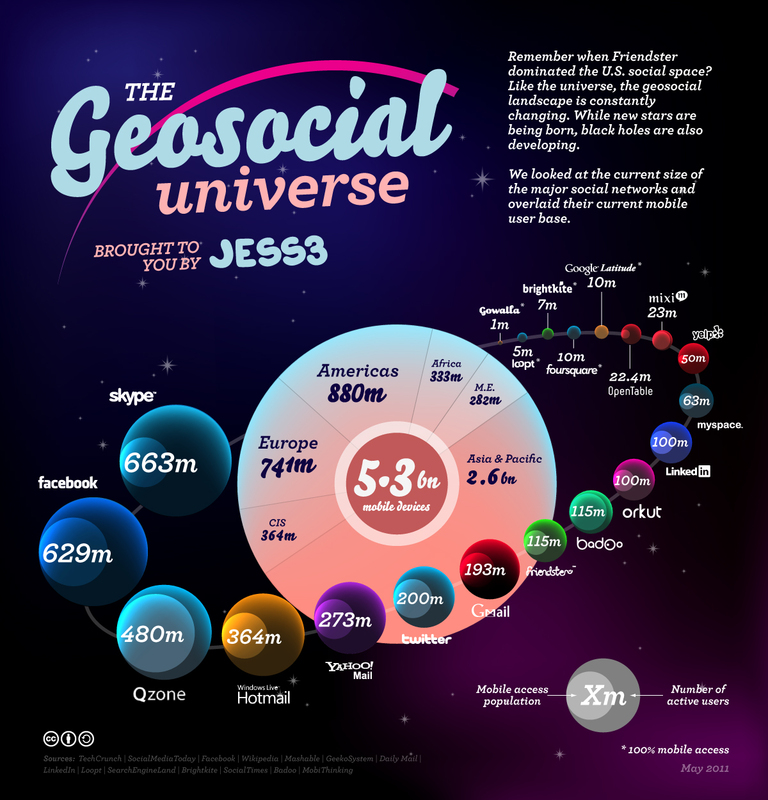 The numbers are staggering as we think about the Geosocial Universe. In addition to being a really sweet infographic, this is important for organizations to think about the Geosocial Universe because this is where our members are. This is how our members are engaging with our organizations online. As the universe of social media continues to grow and expand, so does the access of these networks from mobile devices. What are the implications for social organizations? First, think about what you’re sharing on the social sites, because it is likely that a good number of people will be viewing that information on their phone. Second, think about your call to action when you post. Is it mobile friendly? Yes, this universe and its growth can be dizzying if you keep trying to every little change. Your organization can get out in front of big, sweeping trends since you see where we are headed. Some of these changes you can implement today – like making sure your social content is more mobile friendly. This could be as simple as realizing it probably isn’t a good idea to tweet a PDF. Addressing other changes will require more time and planning – like making sure your website/blog are mobile ready and that your content is concise and quick to read from those devices. What was most surprising to you about this infographic? This entry was posted in Mobile, Strategy and tagged association, geosocial, JESS3, mobile, organization, social media, strategy. Bookmark the permalink.